New to astrophotography? Don't know where to point your new, shiny telephoto lens or telescope? This page is for you! Here you will find my full collection of astrophotography targets I have been working on since the beginning of my astrophotography journey: galaxies, nebulae, and star clusters. The night sky is BIG, and the field of view of a telescope is usually really tiny. As a beginner astrophotographer, I suffered from lack of knowing the position of some interesting astronomy targets on the night sky. 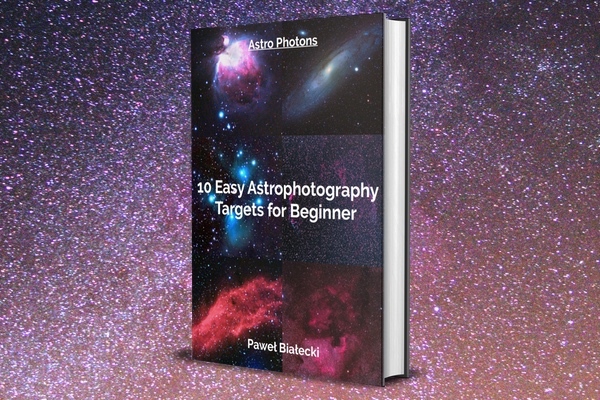 I have learned the hard way, and this is the reason I wrote those articles - to help beginners find fantastic astrophotography targets easier and quicker. Almost every target on the list you can photograph by both a telephoto lens (100mm focal length or more) and a telescope (even a small one - I use almost always my SkyWatcher Evostar 72ED). Some targets have bigger sizes, some have smaller. Some are more beginner friendly, and some are a little challenge for a novice. But all of them share one trait - they are all fantastic astrophotography targets! Grab your equipment, find some dark-sky spot, and shoot! Want a PDF (eBook) version? 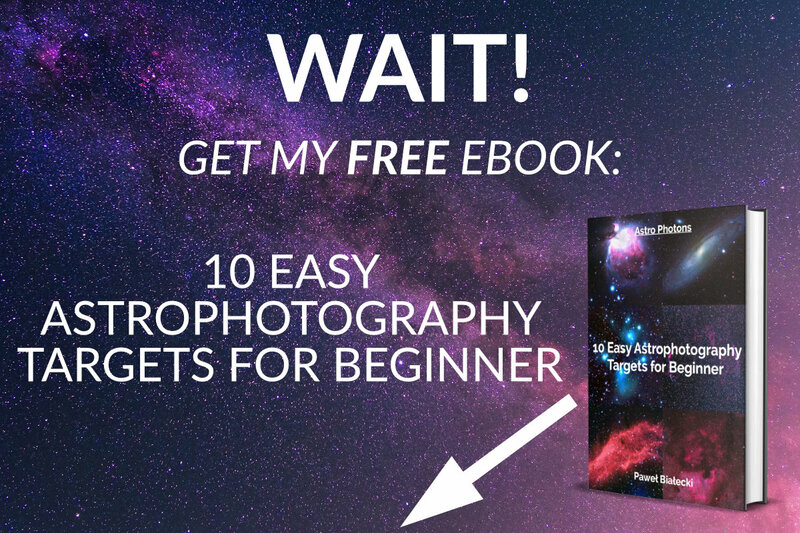 Check out my Easy Astrophotography Targets for Beginner Free Ebook!